Home - Hot Washington, D.C. This is a Flickr badge showing public photos from dcjay64. Make your own badge here. I have been to LA a few times but always for work and never with enough time to explore the city beyond an LAX hotel. This trip I stayed a few extra days and played tourist. It was a short visit but a good one. I really liked what i saw and enjoyed what I did. I need to come back and spend more time here. Chirag, Dr. David, Subodh and Jerry flew up to meet me and my parents in Maine to do some leaf-peeping. We spent some time in Augusta - the state capital. We drove up into the mountains to the little village of Rangeley where my family used to live. We also went to the coast - Dr. David and I to Camden with my parents and the Indians to Acadia National Park. I am always happy when my friends get to experience Maine. It's very special to me. So are they. In October I visited Rome for the first time as part of a trip with my mother, Suzanne, Grant, and Daryl. We stayed right outside the Vatican City walls and spent a lot of time there. It was very special to be there at the center of the Catholic Church and so much history and beauty with my mother. Congratulations to Grant for completing his degree at American University. Family and friends gathered in Mount Pleasant to wish him well. It was a fun celebration of a major milestone. After a business trip to Brussels, my mother joined me and Miguel for some touristing in Belgium and then London. Miguel and Phillippe were great hosts at their home in Antwerp - as always. After some time in Belgium, Miguel, Ma and I took the Chunnel train to London. It was her first time in London. It was my first time there with her and with Miguel - which made it all new and interesting in a different way. We spent the days roaming the city and the nights - roaming the city - but without Ma - safely tucked in bed. It was a great week. I spent ten cold December days in Beijing. 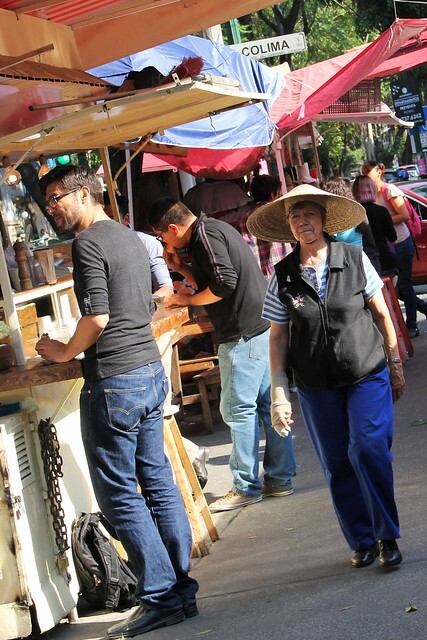 It was my first visit to China and it was wonderful. You can feel the energy of change all around you. The people are so welcoming. The food is incredible. I was fortunate to make a few new friends and to practice and hang out with a swim team there. It was all very fun. Thanksgiving 2005 in Mount Pleasant was a joyful celebration with family and good friends from near and far. I am lucky to have such wonderful people in my life. Thanks to all of you for making it a wonderful holiday. Again. I went to Tokyo for work and decided to stay an extra week for vacation. I asked my mother if she wanted to join me there - expecting her to say no. She surprised me. We had a wonderful vacation together. I also got to spend two weeks visiting with a good friend, Shu. We met last year in Tokyo and have become good friends. He is a beautiful person. Miguel and Philippe's wedding on September 3rd was a beautiful, simple, and traditional ceremony at the town hall in Kapellan. They were surrounded by friends and family that love them. I am so happy that they asked me to share the day with them. 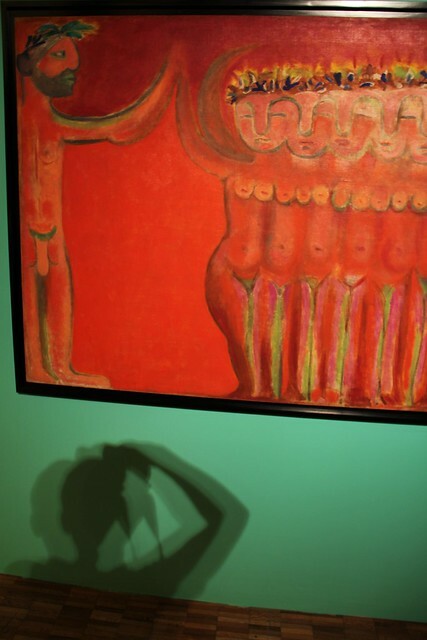 Like me, the Museum of Modern Art here in Mexico City recently turned 50. 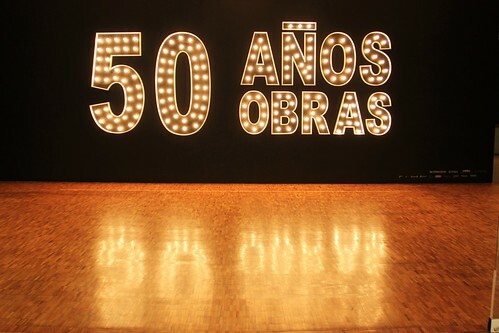 To celebrate, they are hosting an exhibition of 50 of their best pieces. Wow. One of the best shows I have seen. Ever. Anywhere. I just sort of stumbled into the museum itself this afternoon while on a nice sunny afternoon walk through Chapultepec park. 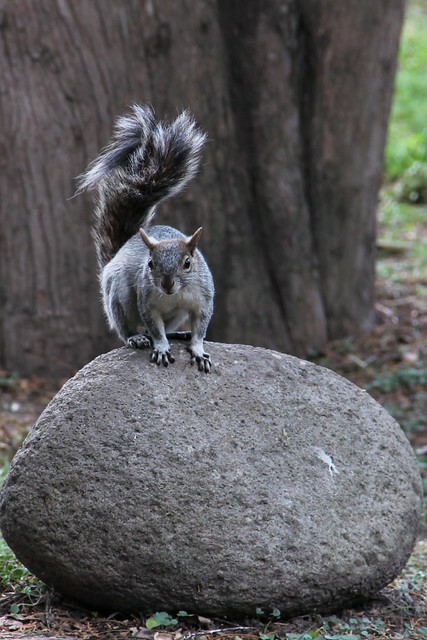 This little guy was literally posing for pics outside the museum. Frida. Double self-portrait from 1939. 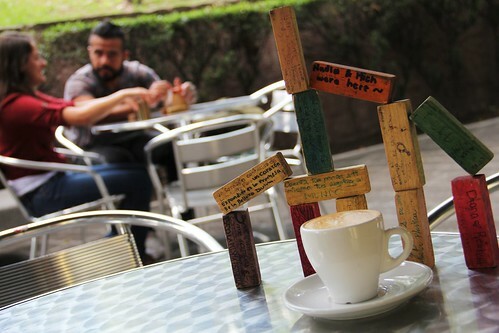 Cappuccino, colorful blocks, young love at the next table. 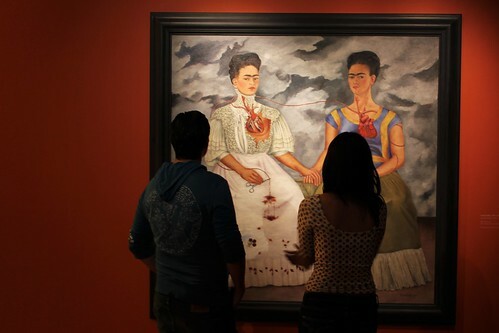 The richness of Mexican Modern art and culture. And more photos here at my flickr account.